The international reggae festival Rototom Sunsplash of Benicàssim (Castellón, Spain) begins once again its tour of presentation parties for the continent of Europe. From this Saturday, May 5 and until July 28, the festival tours five countries: Italy, Germany, United Kingdom, Portugal, France, and a dozen cities in Spain, to promote its 2018 edition that of its 25th anniversary to be held this August 16 to 22 in the Benicàssim festivals venue. The trip starts this Saturday, May 5, in Rome, which will host a special party for the festival with female voices of ska and reggae; and in Berlin, with a dancehall event that will be headed by Pow Pow Movement, acting in August in Benicàssim. In unison, but a few kilometres away, the reggae festival brings the vibes for its 25th anniversary to the Italian city of Modena and Tenerife (Spain). These will take place on Friday 11 May, with a line-up led in Italy by Patois Brothers, Forelock & The Arawak and DJ Pier Tosi; and in Tenerife by Cali P, Dj Chiqui Dubs, Lion D and Rus Kuko, among others. From the Canary Islands we move on to France. Montpellier will be the next stop of the reggae tour. On May 19 and this time with a dub event that brings together Iration Steppas, Macky Banton, Solo Banton and, Wicked and Bonny. Then in June, on Saturday the 2nd, Lisbon will be the stage for another pre-Rototom Sunsplash event with Black Omolo, Sista Awa and Rubera Roots Band leading the list of guest artists. The same day in two other venues: Tarragona (with Dennis Alcapone) and Mallorca, will present the 2018 edition of macro reggae event. On Wednesday June 6 it will be the turn of Barcelona. The Sala Apolo will welcome the historical group of Jamaican reggae Israel Vibration, together with Manu Digital, Deemas J, Greenlight and Dj Karlixx. The international tour culminates four days later, on June 10 in London. 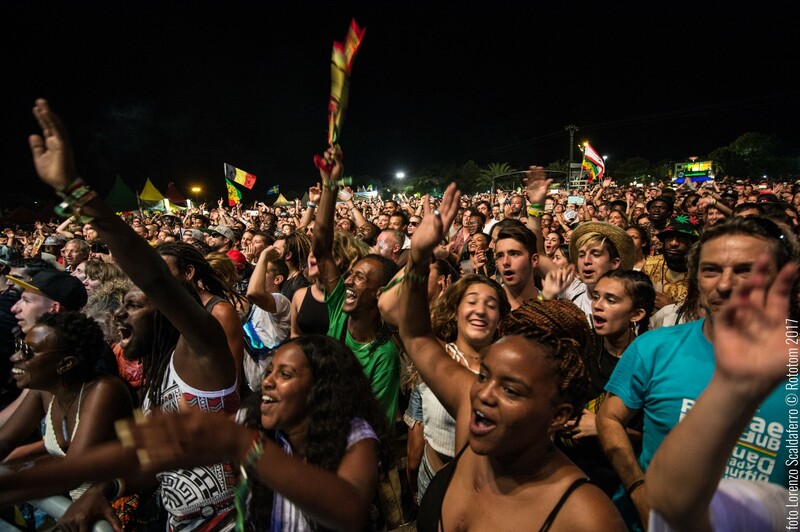 From there, the Rototom Sunsplash brings its round of presentations and reggae parties back to Spain. Ahead will be: Sant Carles de la Rapita (Tarragona) and Seville (with Sister Nancy and Legal Shot, among others) on June 16; Alicante (20); Sagunto (July 7); the mini tour by Ky-Mani Marley through Fuengirola (Malaga), Valencia and Madrid, July 20, 21 and 22; and Montijo(Extremadura), ending this European musical journey on July 28 with a line-up headed by Malaka Youth. A great route, the highlight of, which, will be the three special reggae shows offered up by the eclectic son of Jamaican legend Bob Marley. The artistic fusion of Caribbean music that mark the roots of Ky-Mani Marley with more urban rhythms like blues, hip hop or rock will be on stage on July 20 at Castle Sohail in the Marenostrum festival of Fuengirola, in an event that also includes Malaka Youth, Mediterranean Roots, Cool Up Records and DJ Lion from King Wadada Sound. The next day, on July 21, Ky-Mani Marley will also lead the reggae party in the Jardines de Viveros in Valencia, with two Valencian bands of note: Auxili and Mediterranean Roots, and Borumbaia Percusión. The trio of reggae events with Ky-Mani Marley to the fore comes to an end on July 22 in Madrid, as a part of Noches del Botánico, which will also host Emeterians & Forward Ever Band, Mediterranean Roots, Miguel Caamaño and Toni Face.